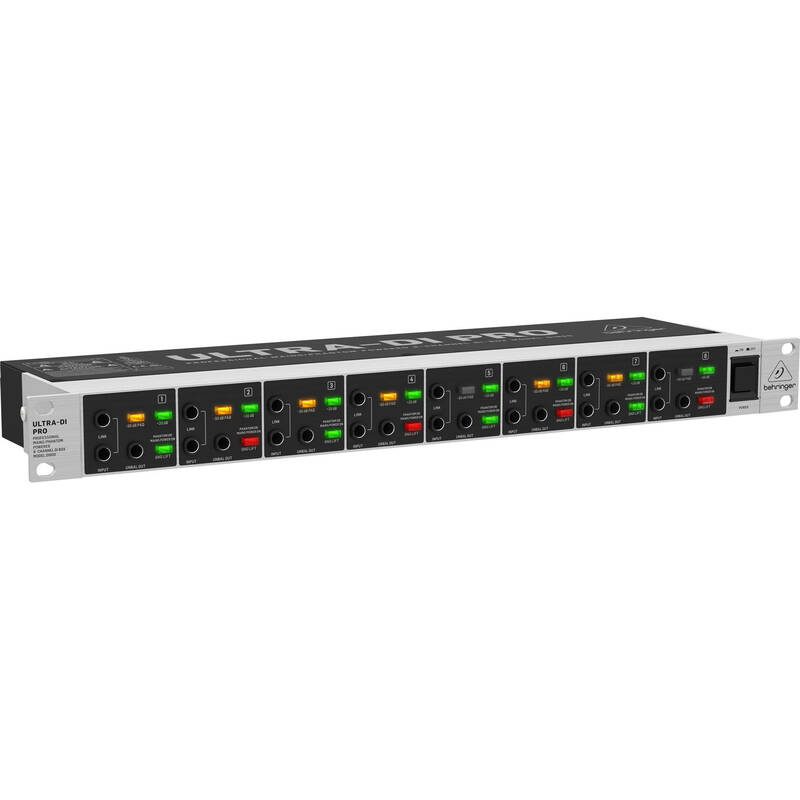 Building upon the success of the original DI800, the Behringer ULTRA-DI PRO DI800 V2 is a professional rack-mount 8-channel direct injection box, equally suited to both studio use, and for live applications. The unit converts unbalanced line inputs into balanced outputs, and features mains or phantom powered operation. 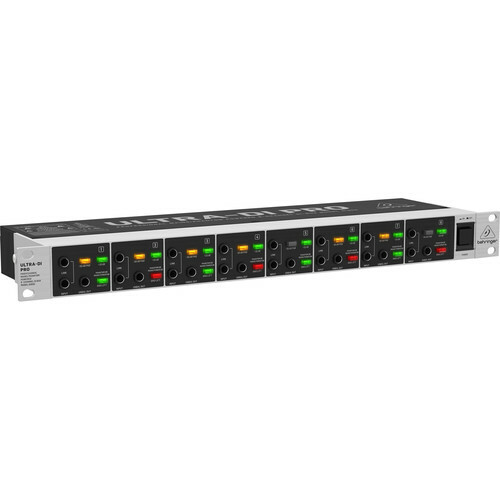 Each channel features an attenuator switch for boosting low-level signals, a pad switch, and a ground-lift switch. Additionally, the DI800 V2 can accept the speaker output of an amplifier with up to a 3000W output. A front panel LINK connector is wired in parallel with the main input of each channel, and can function as an additional input or direct output. Box Dimensions (LxWxH) 20.5 x 9.75 x 4.25"
What is the difference between DI800 and DI800 V2?